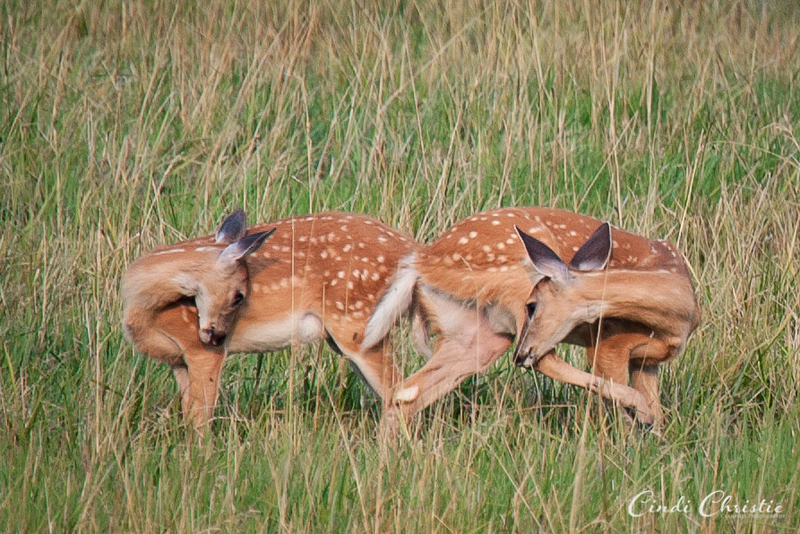 Paying homage to Doctor Dolittle, I nicknamed these twin fawns Pushmi-Pullyu. Mama was barely a leap and bound away from the pair, which had just nursed. They are regular visitors to the pasture and it has been fun to watch them grow. This photo was made with a 300mm lens and 1.7 converter for the equivalent of 510mm. They are very tiny in the original, uncropped frame.